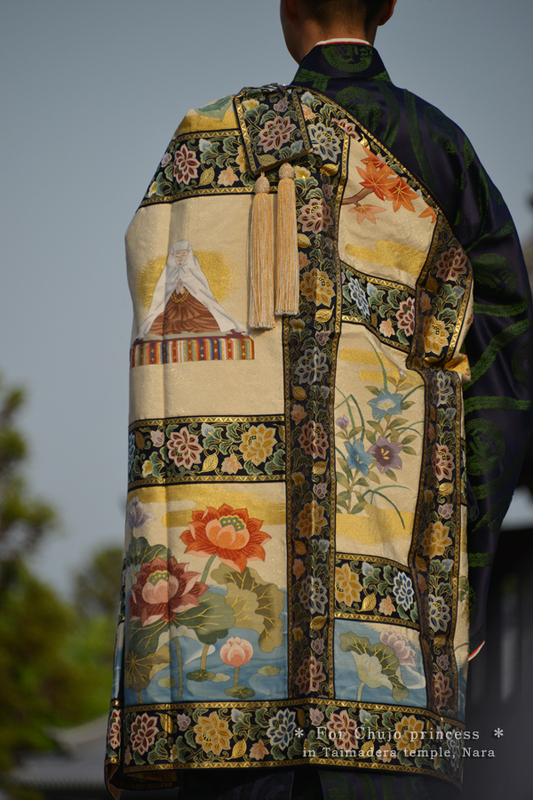 Outfit of the chief priest of Gonen-in Hall at Taima-dera Temple. Miki, the photographer thought it was amazingly beatiful in the sunshine. Taken is Shoju raigo nerikuyo eshiki service at Taima-dera Temple.